Starlite Gala is the most relevant event of Starlite Foundation and the main charity gala in Spain; one night a year that celebrities show their most human side around philantrophy. Starlite Gala is hosted by actor Antonio Banderas. In August 2016, Starlite Gala celebrated its seventh edition in Spain. Since its very first edition, the Starlite Gala has had the support of many important national and international figures. 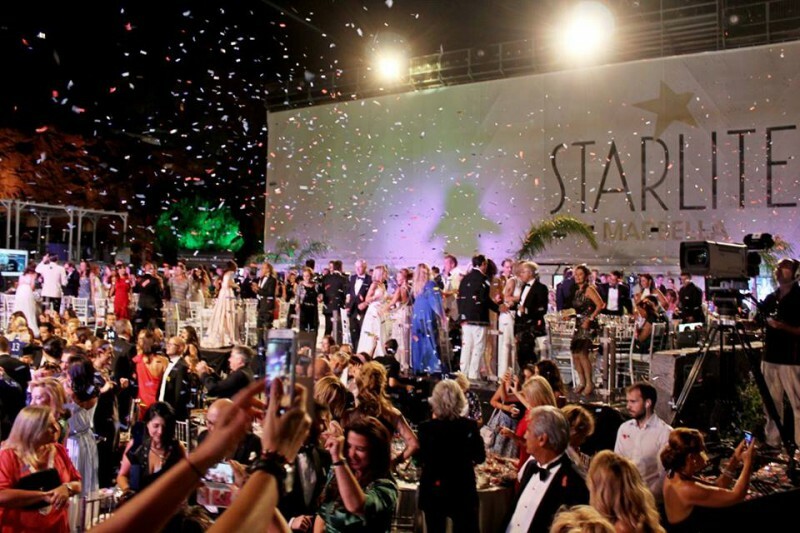 Over 60 national and international celebrities gather every year at Starlite Gala, including the most influential personalities of social and political life, sports and business people, such as Boris Becker, Joseph Fiennes, Jermaine Jackson, Tony Parker, and many more. Starlite Gala has already awarded for their humanitarian commitment Mia Farrow, Carlos Slim, Deepak Chopra, Alejandro Sanz, Miguel Bosé, Daryl Hannah, and Melanie Griffith, to name just a few. All the funds raised during Starlite Gala go to Fundación Niños en Alegría, founded by Sandra García-Sanjuán and Alejandra Alemán and also to Lágrimas y Favores, founded by Antonio Banderas, that, in turn, channel funds to: Cáritas, Cudeca, Fundación Corinto, scholarships to Universidad de Málaga and Banco de Alimentos, among others. This year, Starlite Gala was also held in Mexico for the first time, and with great success, both in fundraising and in media coverage. The event was accompanied by such celebrities as Sarah Ferguson, Rafa Márquez, Jaydi Mitchell, Edward James Olmos, María Conchita Alonso, Genoveva Casanova, and Nieves Álvarez.